"I grew up in Upper Michigan and have always had a passion for working with animals. As a child I found ways to be involved with animals -- from having my own pets to helping injured wildlife and also working in shelters. I moved to Wisconsin to pursue a career in veterinary medicine and graduated from Globe University as a Certified Veterinary Technician. I have worked in emergency medicine since then. This past spring I had the pleasure of joining Dr. Bryant and the rest of the team as part of To Your Door Vet! 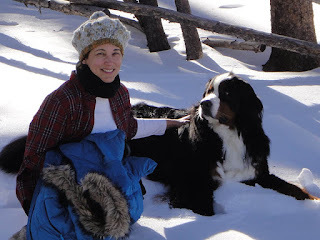 I enjoy meeting and working with our clients and providing the best care possible for their pets." Chelsea is with us part time to assist with dentistry and surgeries at our surgical site, and also often assists during house call visits with blood draws and other procedures requiring extra hands and expertise. She is available by special appointment to deliver food or medications and can provide certain pet care tasks such as nail trims, mat removal, ear cleaning, medication administration demonstrations, sub-Q fluid administration (as directed by Dr. Bryant), and blood glucose checks. Be in touch if you’d like to learn more about these services. Pet Food: What’s on the Label? In my last article, I shared information about independent, reliable resources on pet nutrition and also debunked some of the common myths about pet food. In this article, I am sharing information on reading and deciphering labels. Firstly, I will address the regulation of pet-food labeling to give an understanding of the stringent guidelines manufacturers must uphold. Secondly, I will delve further into the content of the labels, which contain both a vast amount of useful information but also contain eye-catching marketing ploys that often mean little for your pet’s health. As with food for humans, pet food labels are regulated as to what information they must provide. On a federal level, pet food labels are primarily regulated by the Food and Drug Administration (FDA), which enforces federal laws pertaining to pet food labels. These laws include the Federal Food, Drug and Cosmetic Act (FFDCA), and the Fair Packaging and Labeling Act (FPLA). Pet food labels are also regulated at a state level and vary state to state. The FFDCA requires that the label provides proper identification of product, a net quantity statement, the manufacturer's name and address, and a list of ingredients. A pet food may be considered misbranded if it fails to provide this information, and manufacturers are subject to penalties if found in violation. The ingredients must be listed in descending order of predominance by weight and identified by their common names. The label must list any artificial flavoring, artificial coloring, or chemical preservatives. If the food is to be used only under certain conditions, or only with other foods, this must be stated on the label, along with any other necessary information. The FDA also reviews specific claims on pet food, such as “maintains urinary tract health,” “low magnesium,” and “hairball control.” The FDA has lengthy specific testing protocols for foods making such claims to ensure that pet owners are not being misled. State regulations vary greatly. Most states require registration of each product and a label review or registration of the company prior to placing the product on the market. The label is reviewed to determine whether or not it meets the specific requirements of state laws in terms of necessary information and to assure that there are no false or misleading statements on the label. Many states have adopted the pet food regulations of the Association of American Feed Control Officials (AAFCO), whose website defines it as a voluntary membership association of local, state, and federal agencies charged by law to regulate the sale and distribution of animal feeds and animal drug remedies. AAFCO standards go above and beyond those of the FDA, and require eight items on a pet food label. They are: the Guaranteed Analysis, the ingredient statement, the nutritional adequacy statement, feeding directions, and the manufacturer’s name and address. Now that we know what must be on a label, what does it all mean? Let’s start with ingredients, as they tend to be of most concern and the area of most confusion for pet owners. All ingredients are required to be listed in descending order by weight. The weights of ingredients are determined in the state in which they are added to the food, including their inherent water content. Remembering that water weight is included is important when evaluating relative quantity claims, especially when ingredients of different moisture contents are compared. One pet food may list "meat" as its first ingredient, and "corn" as the second ingredient. The manufacturer doesn't hesitate to point out that its competitor lists "corn" first ("meat meal" is second), suggesting the competitor's product has less animal-source protein than its own. However, meat is very high in moisture (approximately 75% water). Without that water weight, the meat probably would fall lower on the ingredient list. Meat meals, such as chicken meal or meat and bone meal, are different; most of the water and fat have been removed, which concentrates the animal protein. In the end, it is more important to compare percent of protein than simply look at which ingredient is listed first. Further down the ingredient list, the "common or usual" names become less common or usual to most consumers. The majority of ingredients with chemical-sounding names are vitamins, minerals, or other nutrients. Other possible ingredients may include artificial colors, stabilizers, and preservatives. Next, let’s move along to the Guaranteed Analysis. Per AAFCO standards, the Guaranteed Analysis lists the percentage of each of the nutrients in the food. The minimum percent of crude protein and crude fat, and the maximum percent of crude fiber and moisture are always required. Note that "crude" refers to the analysis method, rather than the quality of the nutrient. Guarantees for other nutrients may be required to support claims made in labeling (such as "High in calcium and vitamin A"), and manufacturers may include voluntary guarantees for other nutrients. The guarantees must be given in a particular order, in specified units and as a minimum or maximum, depending on the nutrient. Why does the Guaranteed Analysis matter? Your veterinarian can review your pet’s health history with you and advise what nutrients are needed for your pet’s best benefit. For example, with some conditions, magnesium and phosphorus levels are important to monitor in order to maintain organ health. Additionally, when a pet needs to gain or lose weight, your veterinarian can guide you as to the number of calories needed per day while maintaining adequate protein. Akin to the Guaranteed Analysis is the Nutritional Adequacy Statement. This statement also indicates if the food is complete and balanced for a particular life stage, such as adult maintenance, growth, reproduction, a combination thereof, or if it is intended for intermittent or supplemental feeding only. Products that are specifically identified on the principal display panel as a snack, treat, or supplement are exempt from this. While it may seem pretty simple, feeding directions are also required if a food is labeled as complete and balanced for all life stages. These directions must, at a minimum, state, “Feed (amount of product) per (weight) of dog/cat.” Feeding frequency must also be stated. I would advises that you consult with your veterinarian about the amount you feed your pet as I have often found that the quantity listed on the pet food is too much. Okay, so what do we do with all of this information? Knowing how to read and interpret the meaning of all those little words on your pet’s food helps you to make more informed choices, based on the ingredients and nutrients best suited for your pet. As you speak with your veterinarian about your pet’s specific nutritional needs, you can research, understand what the labels are telling you, and make an educated decision as to the food you choose. While labeling can be flashy and often misleading to indicate that one product is superior to another, you now know that the most important information is in the fine print. The US pet industry is a $60 billion business with pet food contributing 38% or $23 of the $60 billion. No wonder we have seen an explosion of pet food companies in recent years. What is the science behind pet nutrition? What are the myths and marketing techniques used to sell pet food? Where can we look for help? How do you read a pet food label? This will be a two-part article. I will address where you can find reliable information regarding pet nutrition and debunk some of the common myths in this first article. The next article will be dedicated to reading and deciphering pet food labels. Precisely balanced nutrition is vital to overall health and development of pets. Furthermore it impacts a pet’s life expectancy and quality of life. For puppy and kittens proper nutrition plays a significant role in providing the right balance of nutrients to address high energy requirement and proper growth. For puppies and kittens vitamin E and DHA are important nutrients for building strong immunity and neurological function. For large breed puppies nutrition with less calcium and fat reduces the chances for developing bone and joint abnormalities. For adult pets, the ideal balance of vitamins and minerals help them stay healthier longer. For mature pets, reduced levels of phosphorus and sodium are important to maintain kidney and heart health. Optimal nutrition is critically important in the management of symptoms and treatment of specific diseases. Obviously there is a lot of science and biology involved in feeding your beloved Kitty or Fido properly. And it seems like everyone wants to offer advice. Information from pet store employees and on the Internet can be confusing and there are lots of myths and misinformation on the topic of pet nutrition. Where can you go to find unbiased, evidence based information? Your veterinarian is the best source of information regarding the appropriate diet for your specific pet. Many factors are involved in choosing the proper food, including economics, availability, health issues, your pet’s preference, and your personal philosophies. From this web page scroll down to “Tools for Pet Owners”. The savvy owners guide to nutrition on the internet provides tips on effectively and objectively using the Internet. In addition, it includes a list of useful and accurate Internet resources on pet nutrition. Providing a level playing field of orderly commerce for the animal feed industry. The nutritional adequacy of pet foods is generally determined by one of two methods based on nutritional levels and procedures defined by AAFCO: Look for this information on the label. This method is less expensive, and results are determined more quickly because actual feeding or digestibility trials are not required. There is no guarantee of pet acceptance or nutrient bioavailability when utilizing this method. Label example: Brand X Cat Formula is formulated to meet the nutritional levels established by the Association of American feed Control Officials Cat Food Nutrient Profiles for Maintenance. This method is the “gold standard” for determining nutritional adequacy. The manufacturer must perform an AAFCO protocol feeding trial using the food being tested as the sole source of nutrition. Feeding trials are the best way to document how a pet will perform when fed a specific food. Label example: Animal feeding test using AAFCO procedures substantiate that Brand Y Adult dog food provides complete and balanced nutrition for maintenance of adult dogs. The "AAFCO statement of nutritional adequacy or purpose, also called a "nutrition claim" or "complete and balanced statement,” identifies which life stage and/or lifestyle the product has been approved for. Under AAFCO regulations, this statement must be substantiated by the manufacturer. It is important to remember that AAFCO regulations only deal with the maximum and/or minimum levels of the nutrients that AAFCO deems essential to a pet’s health. For example, AAFCO requires that an adult cat food must contain at least 18 percent protein if the manufacturer is going to call it complete and balanced. If you find an AAFCO statement on a cat food label (e.g., "Animal feeding tests using AAFCO procedures substantiate that Brand A adult cat food provides complete and balanced nutrition for maintenance of adult cat. "), you can be confident that it contains at least 18 percent protein. But this does not mean that 18 percent protein is necessarily an ideal amount for your cat. The AAFCO statement is just ensuring that the minimum standard is met in foods that have been given its stamp of approval. You should consult your veterinarian to determine which cat food is best for your pet. Now for some myth busting! Myth #1 Premium or Gourmet foods are superior. TRUTH: According to FDA labeling guidelines products labeled “premium” or “gourmet” aren’t required to contain any different or higher quality ingredients than regular pet food, nor are they held to any higher nutritional standard. This is good marketing but doesn’t necessarily mean a better product. Look for the gold standard of an Animal feeding test using AAFCO procedures to substantiate that the food provides complete and balanced nutrition for the specific life stage of your pet. TRUTH: Natural and organic are not interchangeable. Other truthful claims, such as free-range, hormone-free, and natural, can still appear on food labels. However, do not confuse these terms with “organic.” Only food labeled “organic products” has been certified as organic in accordance with USDA and AAFCO regulations. 100 Percent Organic: May carry the new USDA Organic Seal. Organic: At least 95% of content is organic by weight (excluding water and salt) and may carry the new USDA Organic Seal. Myth#4: Pet foods containing ingredients listed as “by-products” are inferior. TRUTH: By-products are common ingredients in both human and pet food. The AAFCO Official Publication 2008 defines a By-Product as: Secondary products produced in addition to the principle product. When processing soybeans, for example, the by-product vitamin E is produced. Mixed tocopherols (such as vitamin E), used as natural preservatives in pet foods, are by-products of the soybean industry. Vegetable oils (such as flaxseed oil, rice oil, bran oil, corn oil and soy oil) are by-products extracted from the seeds that are processed for consumption purposes. Chicken fat is a by-product of the chicken industry. TRUTH: Corn has been called a filler ingredient, but that is inaccurate. Fillers are ingredients that provide no nutrients. Corn supplies many essential nutrients including protein, carbohydrate, fatty acids, and antioxidants. Corn can be safely and easily digested. Most grains are poorly digested before they are cooked, but like other grains, corn becomes highly digestible after grinding and cooking so nutrients are easily absorbed. In fact, the protein in corn is more digestible than that of rice, wheat, barley, or sorghum. It’s a misconception that corn is a major allergen for cats and dogs. Corn is NOT a common cause of adverse or allergic food reactions in pets. Corn is implicated in fewer allergy cases than other common protein sources such as beef, dairy products, wheat, chicken, egg, lamb, or soy. In the high-stakes world of pet food marketing these terms and myths can be confusing and in some cases misleading. Now that you know the facts behind these myths and have resources to find unbiased, evidence based information you will be a savvier shopper and better equipped to understand why your veterinarian is recommending a particular diet. Not to be outdone by their human counterparts innovation and technology for pets is beginning to offer groundbreaking treatments and conveniences. Dr. Bryant recently attended The North American Veterinary Conference in Orlando, Florida and saw many of these exciting advances in person. While these innovations are in the early stages of use, we hope to see them move to the mainstream in the near future. One of the most amazing advances is the use of 3D printing. Life-changing and lifesaving prosthetics created by 3D printers are already in use. If you want to see the incredible results for yourself, see this video on YouTube: Derby the Dog: Running on 3D Printed Prosthetics. Derby, a husky born with no front paws and deformed front legs, is now able to run and play like a normal dog, thanks to the new “legs” made for her with a 3D printer! Another success story is a toucan whose beak was broken in the course of illegal trafficking. She was given the ability to eat and function normally again after a custom prosthetic beak was created for her. This customizable process has a vast range of uses. Printable, netlike casts for broken bones are lightweight, strong, impervious to water, and can be created to fit individual animal's’ specific needs. Wearable devices for your pet? You bet! Vetrax for dogs is a joint venture between Hill’s Pet Nutrition and AGL Technologies. It incorporates specially developed dog-behavior algorithms with state-of-the-art pet-wearable sensors and data-sharing capabilities, and is the first system sophisticated enough to distinguish the acts of scratching or shaking from running. It will provide veterinarians and their clients with a new level of understanding about how therapeutic nutrition can help improve a dog's health and behavior — specifically scratching and mobility. It can be used to monitor many conditions including dermatological, arthritis and obesity. Other pet-wearable technology gives real-time information on your pet’s vital signs and can help determine if pain management is working properly. These non-invasive collars continuously monitor your pet’s temperature, pulse, respiration, activity, positions, calories and more, and lets you access all the data on an app and share this information with your veterinarian. Nanotechnology applications are giving unprecedented access to information on our pets’ health. The Alicam is an outstanding example of this. Alicam is a tiny camera the size of a pill that an animal swallows. Four cameras mounted inside capture 360-degree high resolution images that are stored in an onboard memory system. The Alicam captures thousands of panoramic images as it works its way through the GI tract and even goes into a “sleep” mode when it is not moving. Once the unit gets through the pet’s system, specialists receive the information remotely and prepare a report for the consulting veterinarian, and together, they determine the issues and the most effective course of treatment. As the veterinary field moves forward with new, innovative technology we are finding ways to improve quality-of-life, giving our pets the happiness, comfort, and safety they deserve. 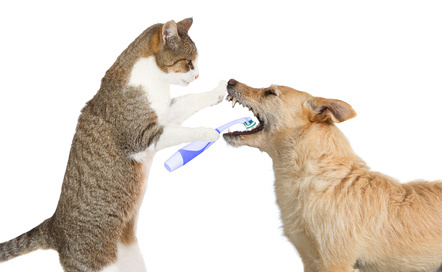 Did you know that most pets have some form of dental disease by the age of three? That is not so surprising since unlike humans, they cannot brush their own teeth and do not get semi-annual professional cleanings. And, since our pets can't speak, they can’t tell us if they are in pain...and they will even try to hide pain because of their innate survival instincts. Regular wellness exams for your pets will include a check for evidence of gum recession, infection and sensitivity. Dental care is an important component of a pet's overall healthcare plan and helps them enjoy a good quality of life throughout their years. To Your Door will offer free house-call dental evaluation AND a 10 % discount on all dental services through March 31, 2016. Schedule today! P.S. Don't forget we now have online scheduling...go to our website, www.toyourdoorvet.com, and click the "Schedule Now" button. Winter in Wisconsin has arrived and we need to take extra steps to keep our pets safe, comfortable, and healthy through the cold and snowy months ahead. Pets’ cold tolerance can vary based on their coat, body fat stores, activity level, and health. Be aware of your pet’s tolerance for cold weather, and adjust accordingly. You may need to shorten your dog’s walks to protect him from weather-associated health risks. Arthritic and elderly pets may have more difficulty walking on snow and ice and be prone to slipping and falling. If your dog has a short coat or seems bothered by the cold weather, consider a sweater or dog coat. Paw protection: Keep the hair between the toes clipped to reduce buildup of snow and ice. Massage petroleum jelly or other paw protectants such as Musher’s Paw Care into pads to protect them from chemicals and sand. Proper fitting booties are another good idea to protect the paws. If your pet becomes suddenly lame, pick the paw up and look for an accumulation of ice or snow between toes or a laceration from sharp ice. After each walk, wash and dry your pet’s feet and stomach to remove ice, salt and chemicals. Check your dog’s paws frequently for signs of cold-weather damage, such as dry, cracked or bleeding pads. Consider using pet-friendly deicing agent on your driveway and walkways. Like people, cats and dogs are susceptible to frostbite and hypothermia and should be housed inside. If your pet is whining, shivering, seems anxious, slows down or stops moving, get them inside quickly because these can be signs of hypothermia. Frostbite is harder to detect, and may not be fully recognized until a few days after the damage is done. If you suspect your pet has hypothermia or frostbite, consult your veterinarian immediately. Longer-haired and thick-coated dog breeds, such as huskies and other colder-climate dogs, are more tolerant of cold weather, but no pet should be left outside for long periods of time in below-freezing weather. If you absolutely cannot keep your pet inside during cold weather, provide them with a warm, solid, shelter against wind. Make sure they have unlimited access to fresh, non-frozen water (by changing the water frequently and using a pet-safe, heated water bowl). The floor of the shelter should be off of the ground (to minimize heat loss into the ground) and bedding should be thick, dry and changed regularly to provide a warm, dry environment. The door to the shelter should be positioned away from prevailing winds. Space heaters and heat lamps should be avoided because of the risk of burns or fire. Use heated pet mats with caution because they are capable of causing burns. Lastly, a warm vehicle engine can be an appealing heat source for outdoor cats and other animals, but it can be deadly. Check underneath your car, bang on the hood, and honk the horn before starting the engine to encourage at-risk animals to move along. Not only can you save a life with these simple gestures; you can also avoid damage to your vehicle. With a little extra care and attention, pets can safely enjoy our Wisconsin winters. You and your veterinarian, together, can help make this happen. Most pet owners believe that their cat or dog is a normal weight, even in cases of obesity. Identifying pet obesity is difficult for the majority of people. The Association for Pet Obesity Prevention’s (APOP) eighth annual National Pet Obesity Prevalence Survey found that “58% of U.S. cats and 53% of dogs were overweight in 2014.” Further, the survey showed that “90% of owners of overweight cats and 95% of owners of overweight dogs incorrectly identified their pet as normal weight.” Recognizing the extra weight and acknowledging the problem is the first step to tackling the issue. Veterinarians and other animal professionals refer to a Body Condition Score in assessing pets’ weights. The scoring system usually ranges from 1 to 5, with 1 being underweight, 3 being ideal, and 5 being obese. Pets in the ideal weight range will have ribs and spine that are easily felt but not necessarily seen. There is a waist when viewed from above, and the abdomen is raised and not sagging when viewed from the side. Pets who are overweight or obese have ribs and spines that are hard to feel or count underneath fat deposits. The waist can be distended or even nonexistent when viewed from above. Fat deposits are typically found on the hips, base of tail, chest, and hindquarters. Once you realize the seriousness of this problem and want to make changes, what can you do? You can make changes and enhancements to help your overweight pet. Try using healthy vegetables or fruits as a treat. Experiment with a wide variety such as carrots, bananas, or broccoli. Even hand-feeding low calorie kibble can be a treat. Kibble becomes “special” when it is hand-fed. Also, playing, petting, grooming, and praising is a great substitute for food treats. These activities will increase the bond with your pet, as interaction is key to success. Make treats or meals more challenging. There are products on the market that require involvement, reasoning and movement with treats or kibble as a reward. These products require a pet to move, flip, or tug at a toy in order to get the food from within. While there are a many on the market, some brand names to help in your search are: the Buster Food Cube, the Tug-a-Jug, and the SmartyKat KnockOut treat toy. Make gradual changes and get your veterinarian involved. The first step is to determine the number of calories your pet eats in a day. To find the calorie content, look on the bag or can, check out the manufacturer’s web site, or call their toll free phone number. Next measure the amount that you are feeding. Pet owners are often surprised by how much is really in that “scoop” of food! Also, do not forget to count treats. Once armed with the current number of calories being consumed, the second step is a visit with your veterinarian. He/she will work with you to determine your pet’s ideal body weight and number of calories needed to achieve that goal. Your veterinarian will help with alternative food suggestions, feeding schedules, challenges in multi pet households, and other strategies for success. Follow up with monthly weight checks to see if your strategies are working or if your plan needs to be revised. 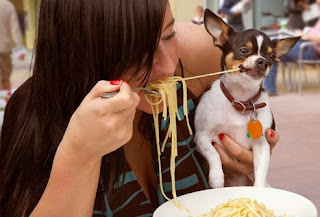 As with humans, to lose weight, pets must burn more calories than they take in. You can help your pet with added exercise, such as walks for dogs or toys that inspire the desire for chasing in cats. The time spent together with your pets will not only help with their weight and health. It will increase the bond you have with them and will add quality to the years yet to come.